This book presents a systematic account on Poles’ attitudes toward ethnic, religious, political, and sexual minorities. It investigates Poland’s reputation as an intolerant, anti-Semitic, and homophobic country. Counter to a simplistic image of Poland as a hotbed of intolerance, the book shows that Polish intolerance has many faces. For one thing, Poles’ attitudes toward diversity vary from one group to another. For another, the extent to which Poles’ attitudes are more or less negative depends on the right or activity they are asked to support and who the respondents happen to be. The book is the most comprehensive and empirically sophisticated synthesis of Poles’ attitudes toward diversity to date. Previous research tends to describe Poles’ attitudes toward a single minority at a time and only examines subgroup differences in their thinking about diversity. 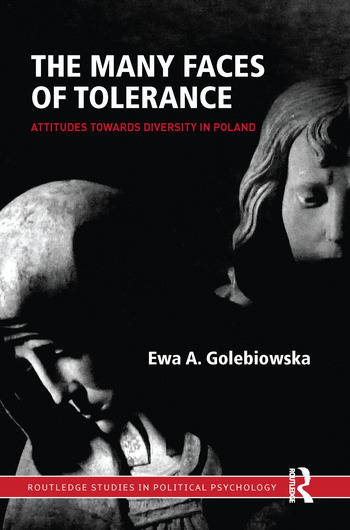 The Many Faces of Tolerance is a multi-faceted analysis of Poles’ sentiments toward historically and currently discriminated against groups that assesses Poles’ acceptance of different minorities and authoritatively analyzes its sources. As part of this endeavor, the book develops a ranking of influences on Poles’ tolerance, undertakes a forecasting of future changes in tolerance in Poland, and proposes practical strategies to ameliorate existing intolerance. Ewa A. Golebiowska is an associate professor of political science at Wayne State University in Detroit, Michigan. She specializes in political psychology and political behavior, with a particular interest in public opinion on civil rights and liberties. Her articles have appeared in numerous journals, including The Journal of Politics, Political Behavior, International Journal of Public Opinion Research, Polish Sociological Review, and East European Politics and Societies.